Fun fact: I worked on Spiderman 2. Not so fun fact: I spent most of the time working on a single shot that was when this guy showed up and some metal panels got pulled off the wall, blink and you missed it. 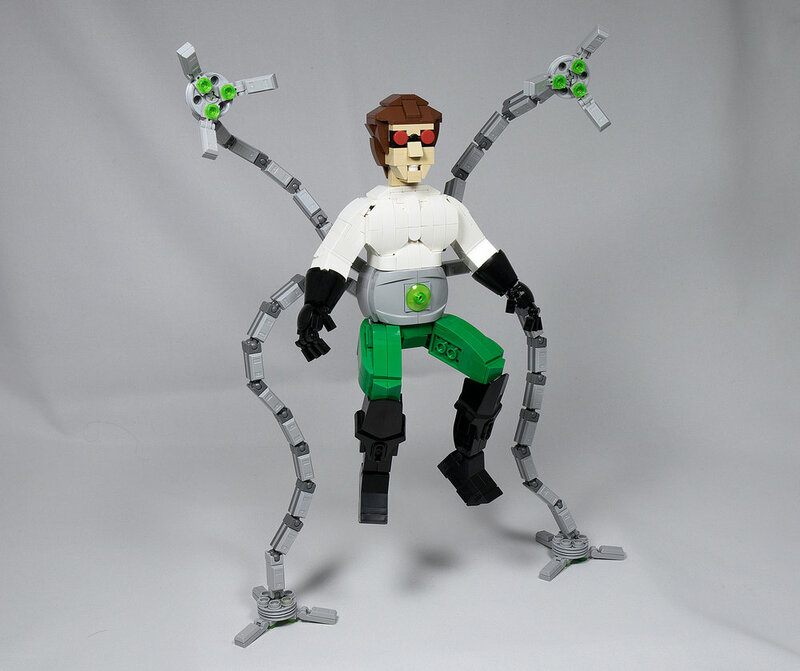 Doctor Octopus, depicted here by vitreolum, is one of those villains that everyone knows, but no one really “knows”, you know? He’s actually a pretty complex character, who just happens to be a mad scientist with mechanical appendages hell bent on proving his genius while smashing Spiderman.